Summary Details: insurance4carrental.com is pleased to announce that Worldwideinsure.com van hire excess insurance and motorhome / campervan hire excess insurance has been added to the list of van hire vehicle rental excess insurance advertisers bringing the total providers to four. The van hire insurance promotional site insurance4carrental.com is now promoting an affitional Worldwideinsure.com insurance product. 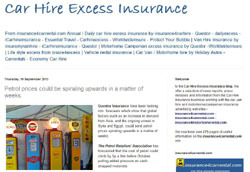 Since November 2010 it has been advertising their car hire excess insurance and motorhome hire excess products and then their travel insurance products. 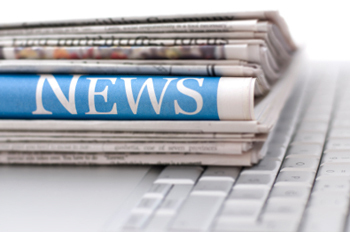 This means there is an even greater choice of van hire excess insurance providers. The first company to join the site was Towergate's Insuremyvanhire.com which was followed by iCarhireinsurance's product and the Questor Insurance Services product. By buying van hire excess insurance from an independent company means for the hirer they will normally save a lot of money as van hire companies like car hire companies tend to charge a lot more for this essential product. 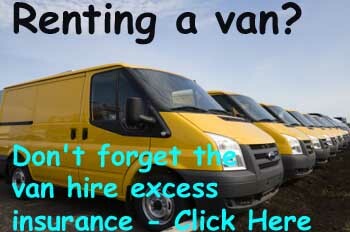 Worldwideinsure.com are offering Van Hire excess Insurance with a daily rate costing from £4.90 a day. Philip Suter of jml Insurance marketing said "There are numerous van renters throughout the UK who are hire vans everyday. With the number of people in rented accommodation these days, there are lots of people moving or collecting furniture and DIY materials from retailers"
jml Insurance is part of jml Property Services, the trading name of Jeffrey Milner Ltd. The company is an UK based company that was established in 1979. jml insurance acts as a web promoter for insurance companies selling property insurance including landlord and tenant rental products via jml-property-insurance.co.uk, pet insurance, wedding insurance, motor insurance via jml.insurance.co.uk, car hire excess insurance, van hire excess insurance and motorhome excess insurance via insurance4carrental.com. Property, holiday home insurance, travel insurance and other insurance products are marketed via irishpropertyinsurance.com for the Irish market. They also operate jmlvillas.com an online marketing service for owners of holiday home property to advertise and are part of the jml Group that includes jml Training and Consultancy.